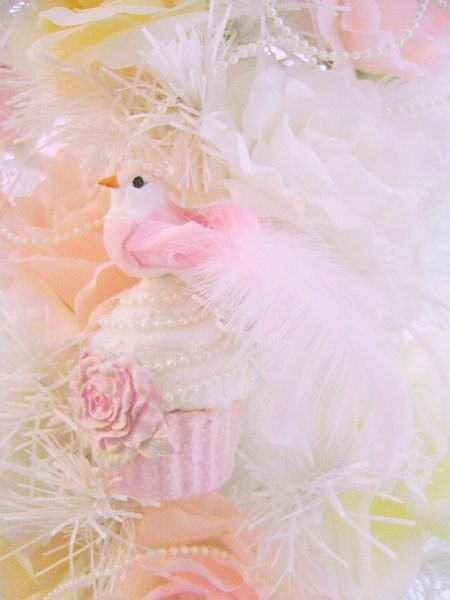 This hand made, paper cast, cupcake ornament has been generously glittered with Crystal glitter frost and embellished with a shabby, pink, hand molded, clay rose. 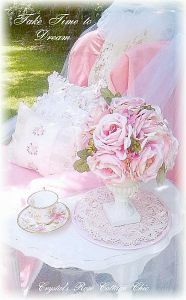 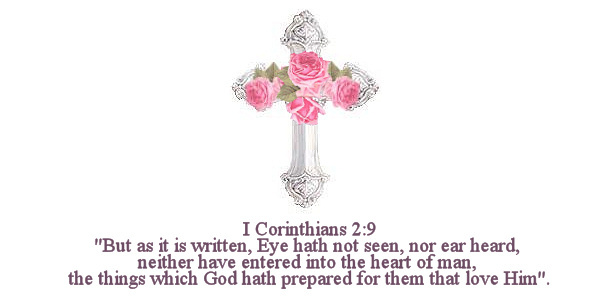 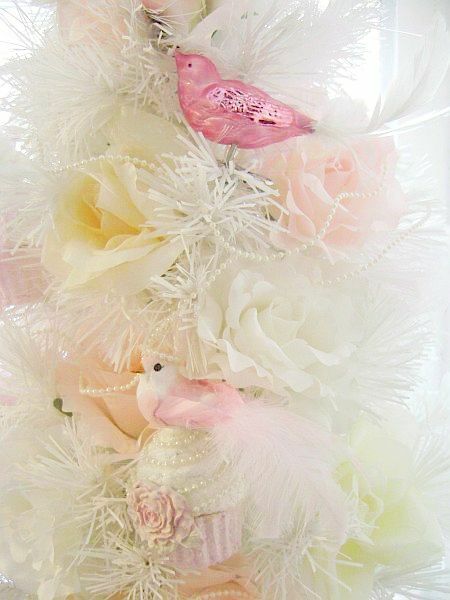 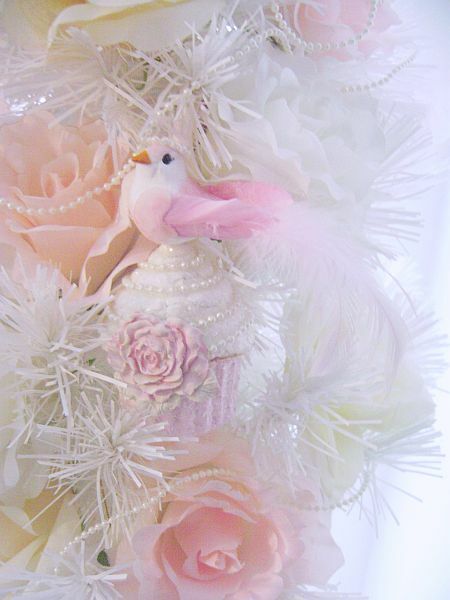 It also has a lovely swirl of pearls upon the icing and for the crowning touch a sweet, pink bird with her crown of pearls upon her dainty, little head. 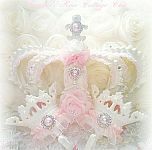 Perfect for the Pink Princess in your life!